Bars and pubs are getting more and more popular around the world, and Moscow is not an exception. Whether you want to meet an old friend and have a warm chat with a pint of good English Ale, or to spend Friday night with colleagues dancing and having author cocktails and original food, Moscow has a wide range of hot spots to offer. Head to Western-style bars for a casual evening or live-music bars to enjoy some jazz. Various British pubs are ready to serve you famous fish and chips and true beer. The bars, founded by renowned DJs, will make you forget about mainstream Pop and plunge into author music. 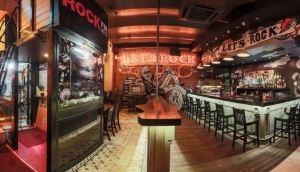 Discover the world of Moscow bars and pubs here.